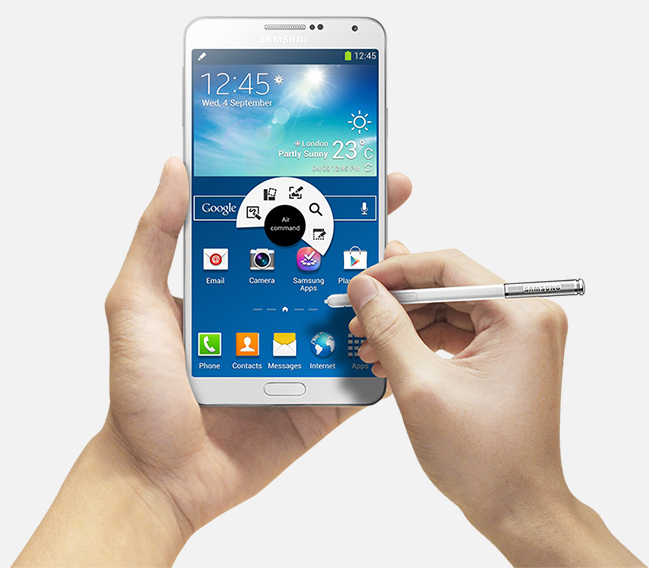 What can we do with the Samsung Galaxy Note 3? Phablet is mixing between phone and tablet. Samsung takes this combination to also introduce a pointer with which we can take notes like a book. It is very comfortable and we soon got used to it, in many cases it is more comfortable to type using the virtual keyboard. 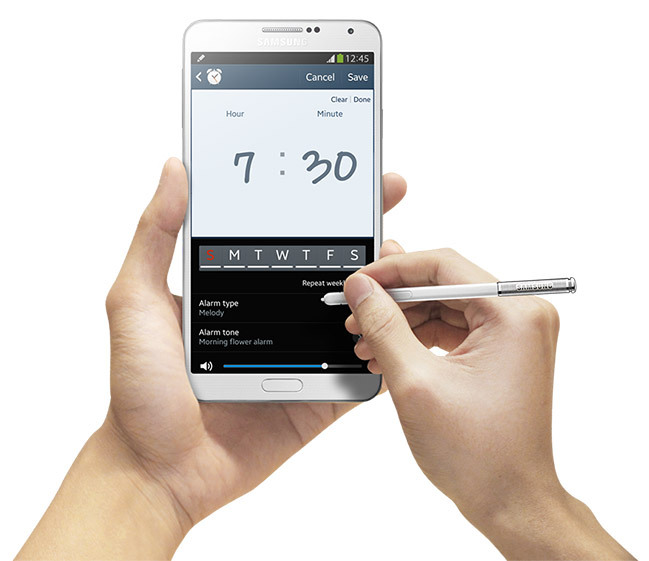 What screen Samsung Galaxy Note 3 is big? Sure, but Samsung gives us many reasons to use him and make the most: containing not only high resolution but also to have two applications open at the same time. We can read the mail while we surf the internet very easily. Is not that enough? Some applications also allow you to move files from one application to another when they are open at the same time. For example, while we see pictures in the gallery, we can take over and drag it to send a message. Useful, simple and spectacular. The 13 megapixel camera not only offers very good quality, Samsung also introduces a few filters and ways for us to take pictures of guy. HDR for more vibrant colors, combinations of photos using the front camera and the rear ... Little extras that add much value. Speaking of things that make it special, the Note 3 comes with a lot of unique applications that will not see on other mobile: a collector of all kinds of notes, an application health records our movements ... is one of the smartphones with more content only. If you've already convinced to buy a Samsung Galaxy Note 3, or already have one, now we taught a few tricks to make the most. Become an expert on everything and discover everything it offers, which is not bad. We're going with it. With pencil we draw and take notes, but we can also use parahacer screenshots and cuts. We just have to tap the screen with the physical mouse button and draw the area you want to select. Then we can save or add a note. If the pencil closer to the screen without touching, pressing the button will move us a menu where you can choose different options. A very useful addition that will give us quick access to frequently used commands. 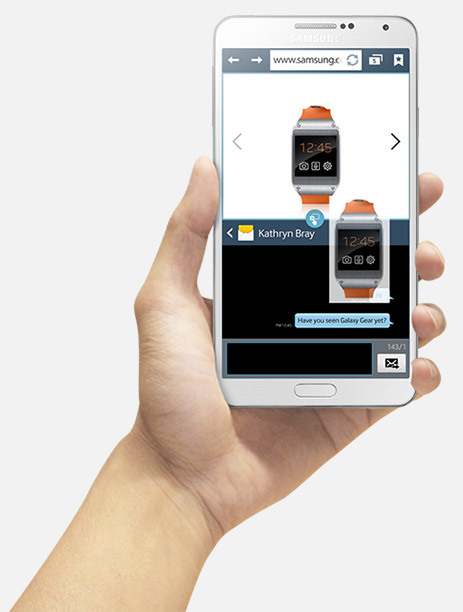 Will you walk or simply want to use the Samsung Galaxy Note 3 with a hand? It has a special mode where the display is adapted for use in this way. How to activate ? In the settings menu you can select this mode and configured with several parameters to suit our preferences . Want to see the mobile screen on TV? If your TV is compatible conMiracast or WiFi Direct, we will send what we see in real time very easily. If you have a Samsung TV , the process is easier. BTW : you can also use as a remote control thanks to an application that uses the infrared sensor incorporating mobile. Want to make sure your mobile phone is the latest ? Check updates entering the Settings menu in the " about this phone " soon find the option to check for new versions . Look at it occasionally , because the update to Android 4.4 KitKat is underway. when Will we see android Lollipop in the Samsung Galaxy Note 4? How to troubleshoot battery of Samsung Galaxy Note 3 S4 and Android 4.4.2 with KitKat.